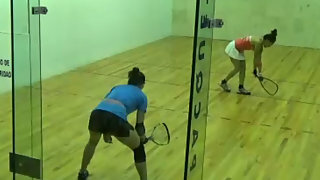 Description: Two mexican superstars face off in the semi finals of the biggest racquetball tournament in the world. 700 players show up to play at the Minnesota Target center. Two fierce competitors square off in this highlight video. 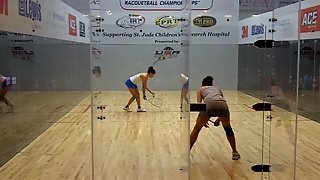 Paola Longoria the fittest player on tour takes on up and coming star Samantha Salas.